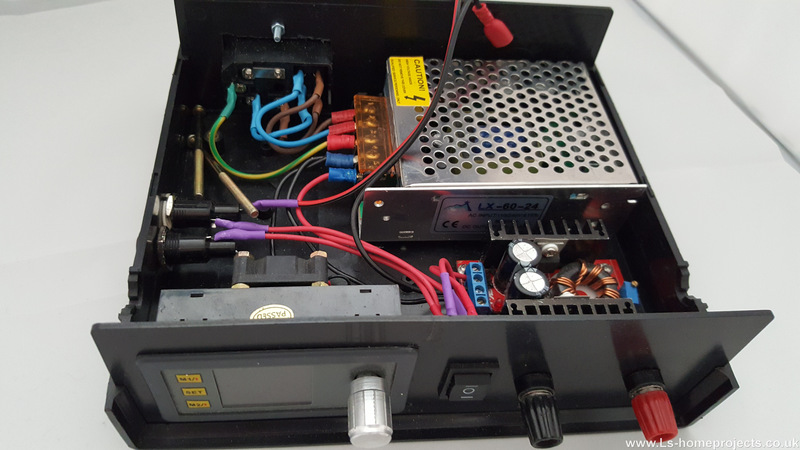 A few years back i made a compact bench PSU based on a DPS-3002 module and a 24v PSU. I have since made a improved version that also includes the ability to run on my power tool batteries making it ultra-portable. Using a power tool battery for a project is nothing new, there’s a few similar projects on online and here’s some of the benefits. 1) The ability to swap battery when one dies whilst charging a spare. 2) Ready designed battery protection and charging circuitry. 3) low-cost solution if already owned the power tools batteries and chargers. 4) suitable output voltage and capacity. I decided to use this method rather than starting from scratch and having batteries and charge/boost modules inside. I currently own some 18v Makita G series battery power tools. 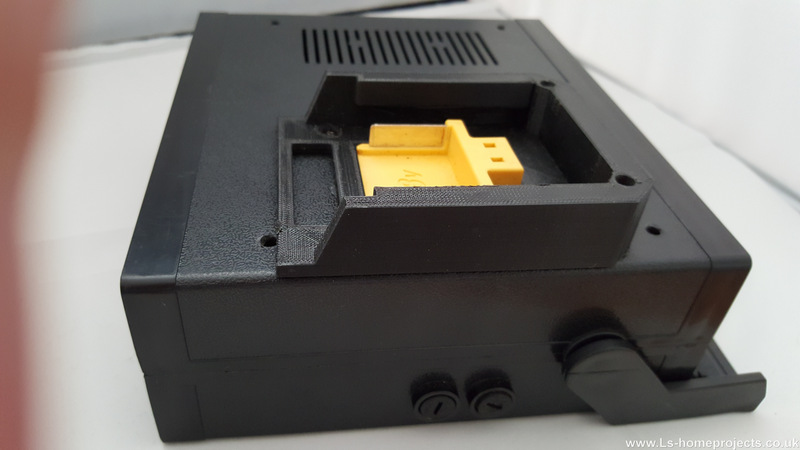 Unfortunately these are not the Makia professional range 18v (LXT), as there’s loads of battery mounts ready to download on websites such as Thingiverse. Not wanting to Upgrade to a compatible range of power tool battery yet i decided to started from scratch and design my own. 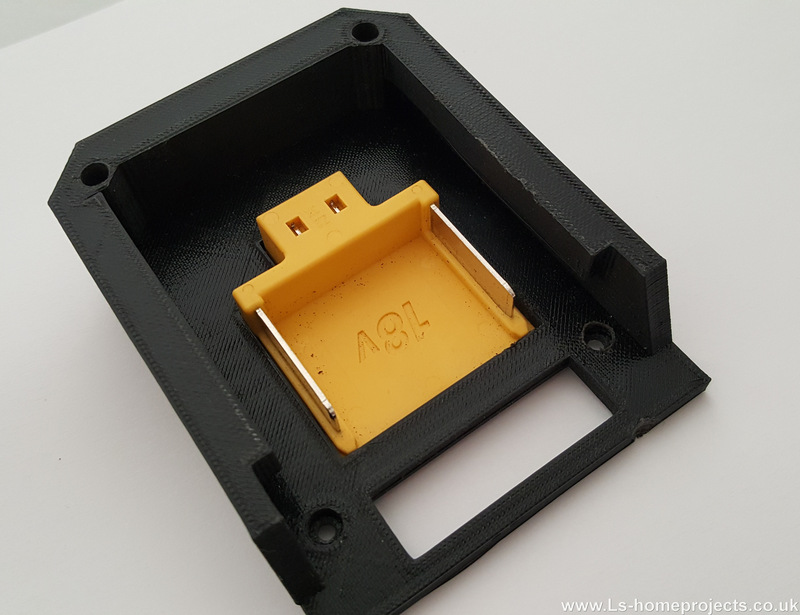 I ordered a genuine battery connector and then designed the battery holder round the battery connector it fitted onto the battery . I’m not a CAD expert by no means but was very pleased as i had a working prototype on the second revision. I have posted the finished design on Thingiverse here . As well as battery-powered i wanted the ability to run from the mains so a 24v dc mains PSU was also added like my previous version. 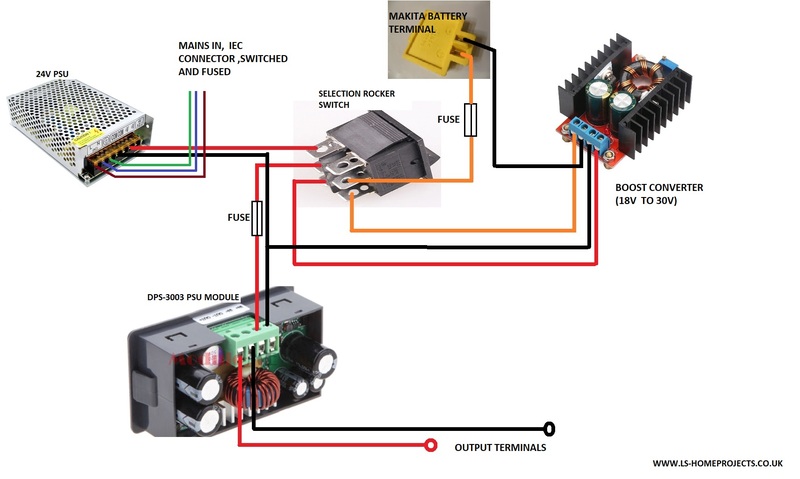 My original plan was to have a relay to auto switch over when connected to mains but I still would have needed a switch to control the battery supply to the boost converter and stop it from drawing power when not in use . I also didn’t want to keep removing the battery all the time so a double pole switch seemed to the best option. 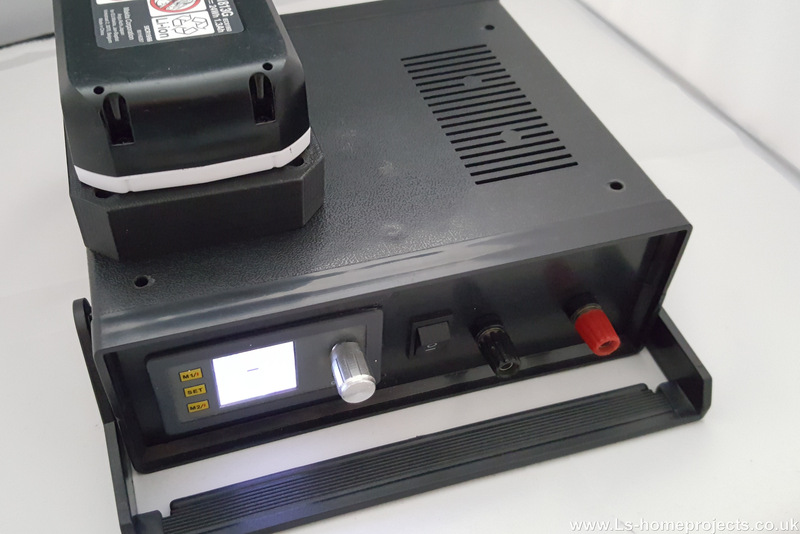 One pole of the switch switches the positive input to the dps-3003 PSU module between the 24v PSU and the 30v boosted 18v battery. The other switch pole simply switches the battery supply to the boost converter on and off . The main reason for this was to stop the boost converter draining the battery when not selected and i didn’t want to have remove the battery every time instead. I was very happy how it turned out and it works great. I have found this very useful and used a quite a bit already. I may change the battery holder in the future should i upgrade my power tools but for the moment i am more than happy with the current setup for now. The only thing would change if i was doing this again is the case. The case was made of very cheep plastic and was flimsy and on the brittle side . Even though the case wasn’t very expensive in this case i would suggest going for a more expensive branded one. There are two fuses in the my power supply , one protects the Battery and other the input to the DPS-3003 psu module. PLEASE NOTE LIVE MAINS VOLTAGES ARE PRESENT ON PSU IF UNSURE ALWAYS SEEK PROFESSIONAL ADVICE WHEN CONNECTING UP ! Please only use this for reference with to the correct manuals and datasheets. I hold no responsibility to any damage to any equipment caused . When using Lithium power tool batteries ensure all the relevant safety precautions are followed and is wired up correctly avoiding any short circuits. Also be aware you could invalid any warranties if using the tool batteries in this way.